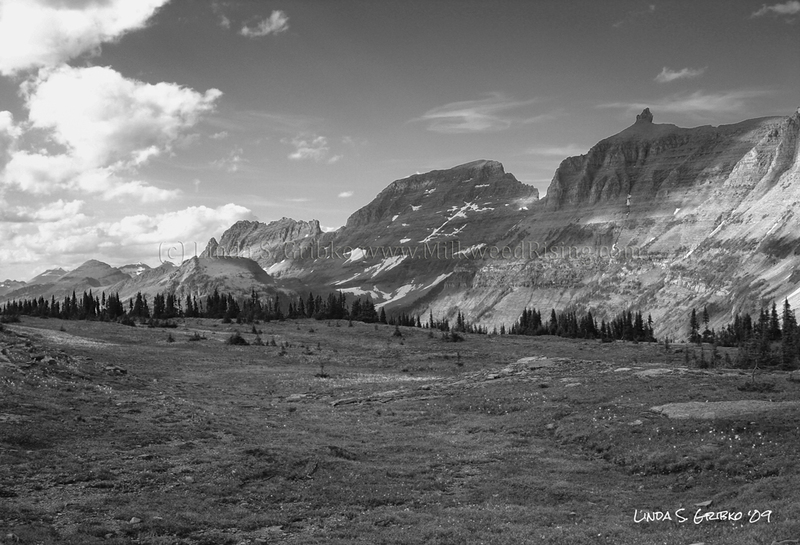 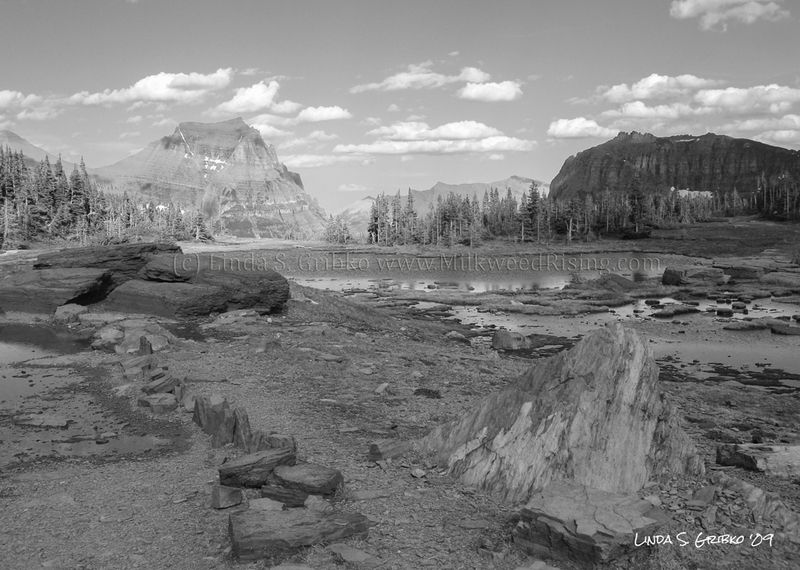 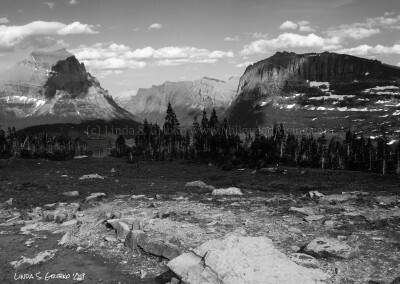 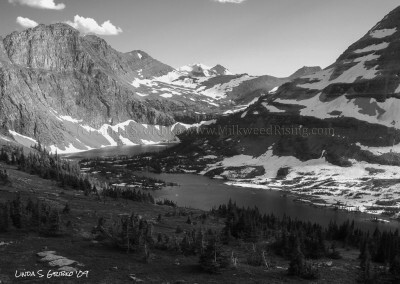 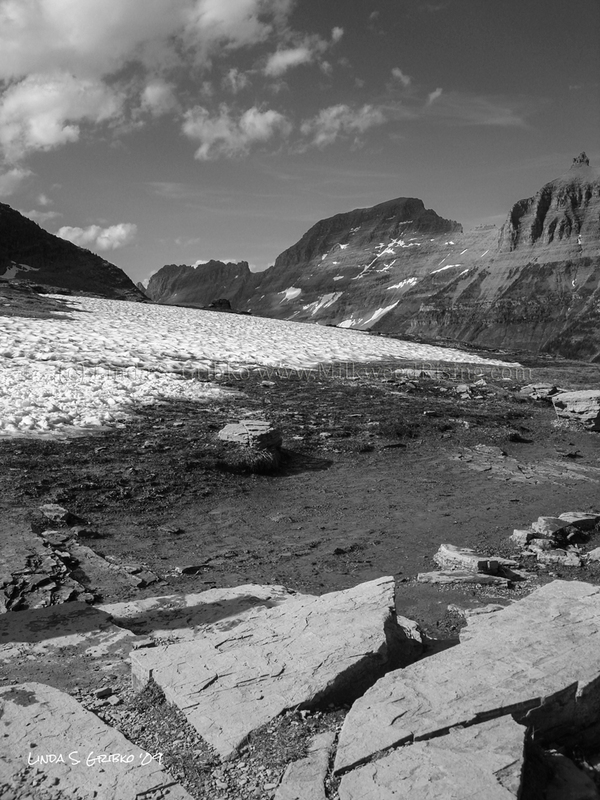 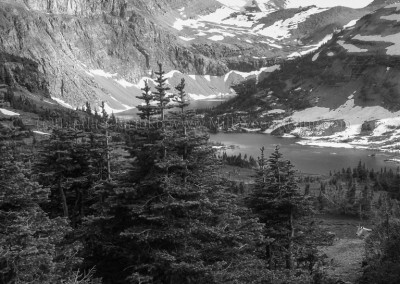 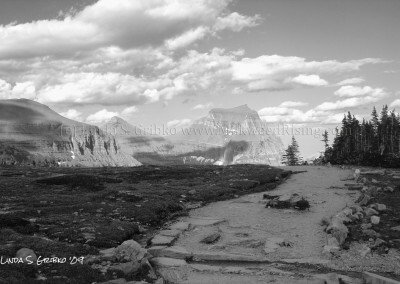 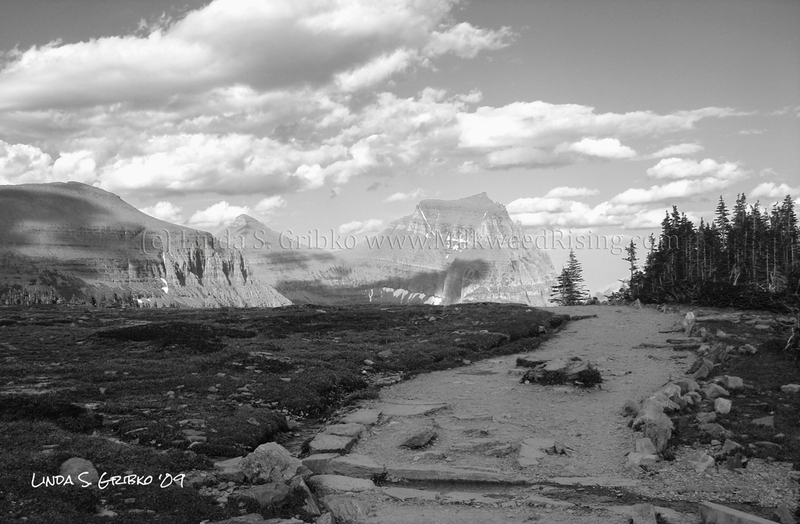 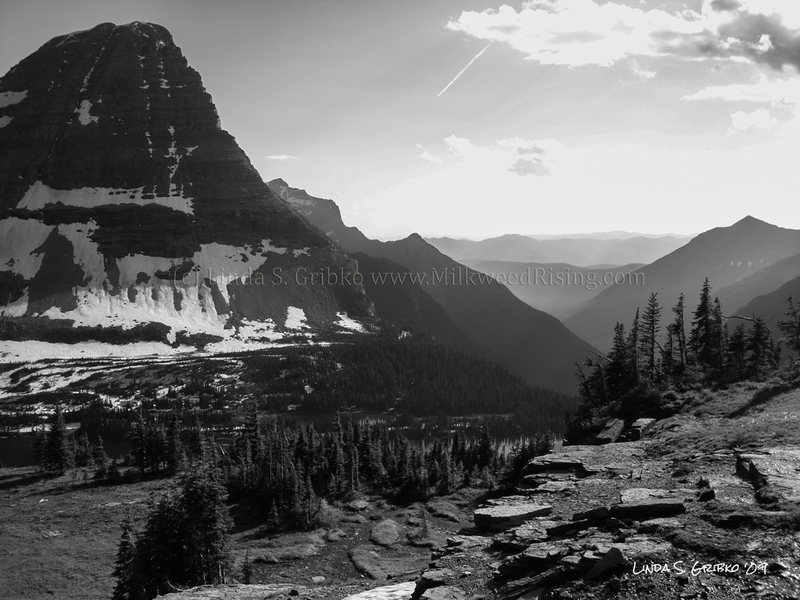 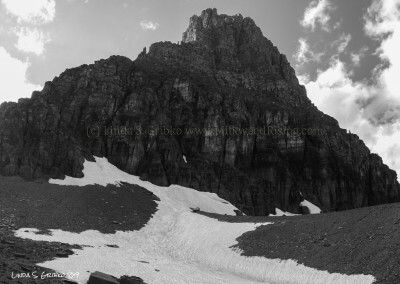 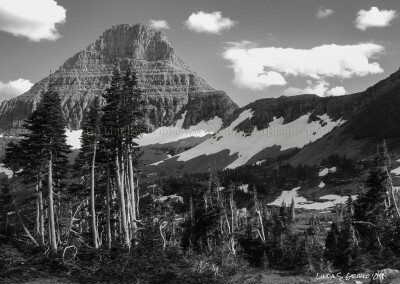 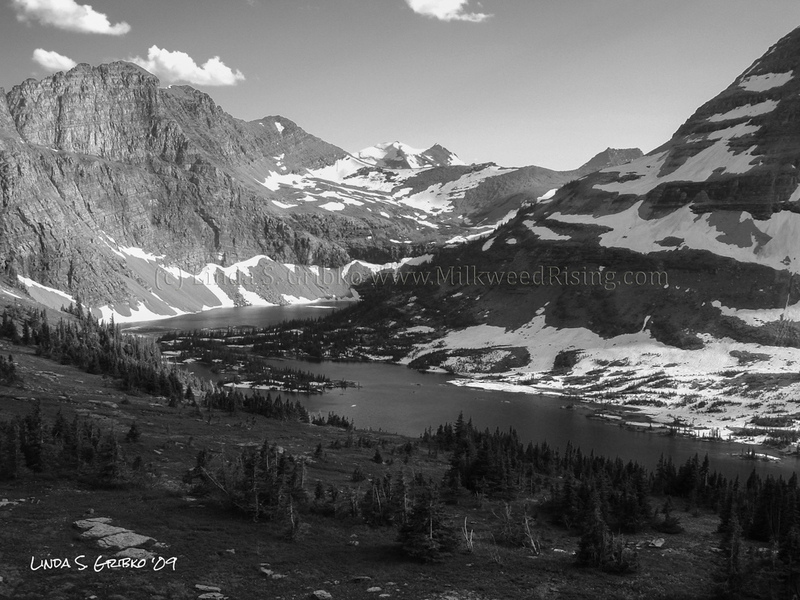 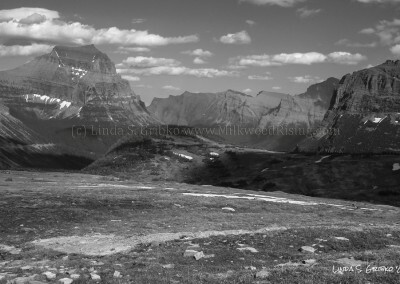 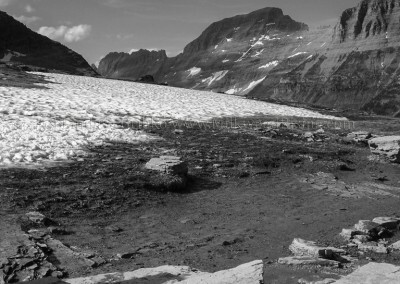 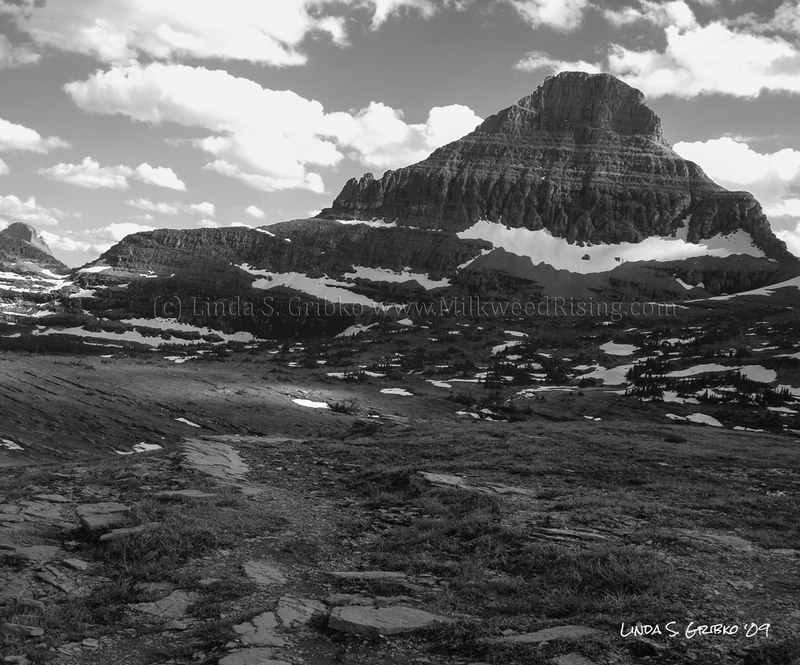 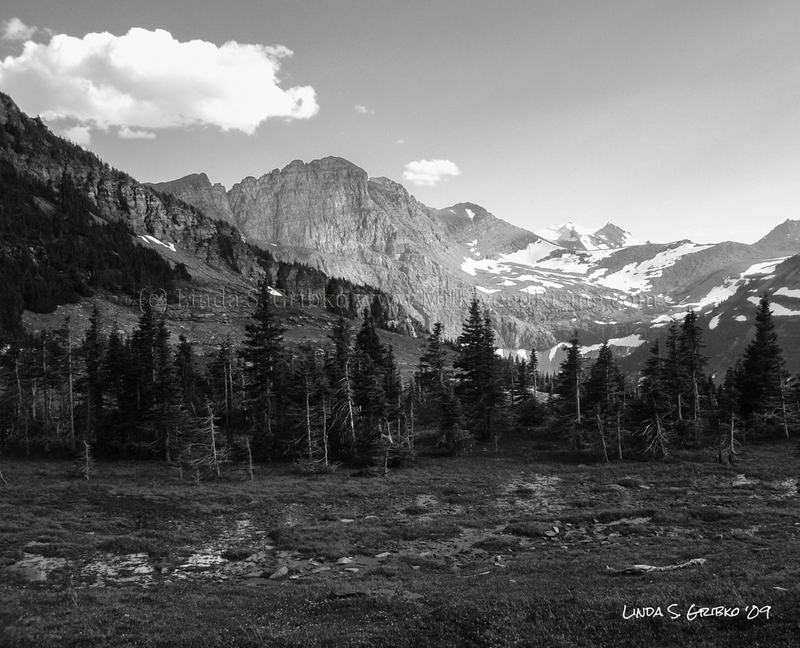 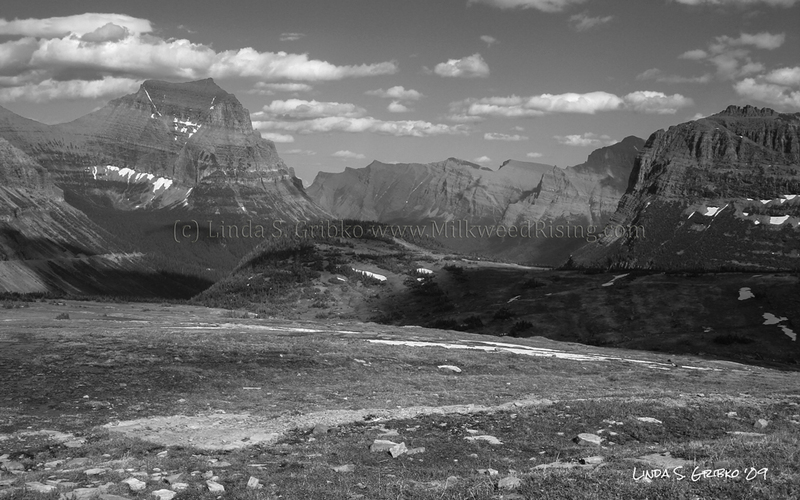 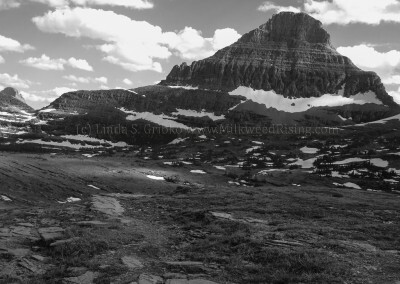 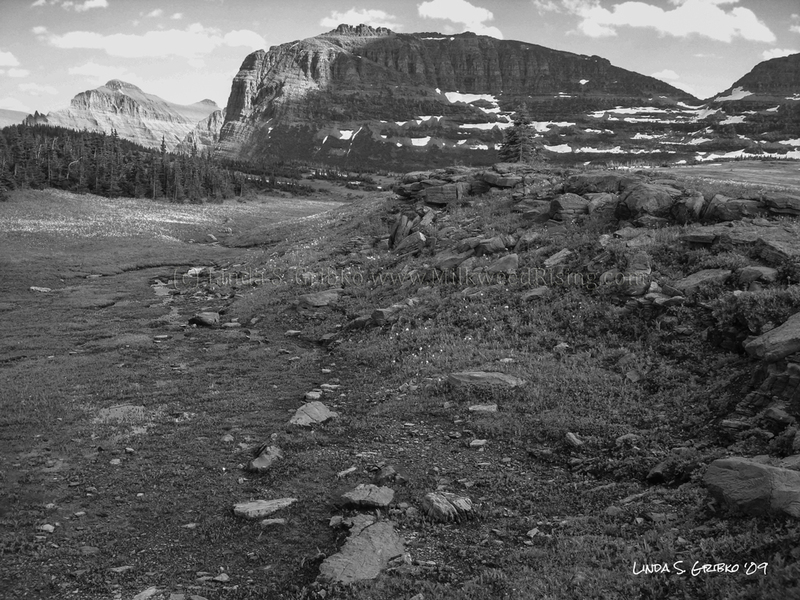 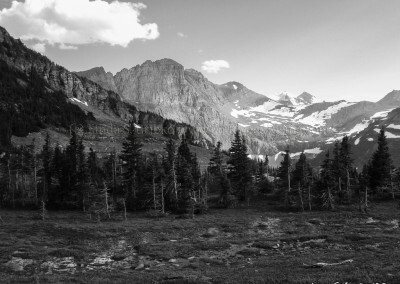 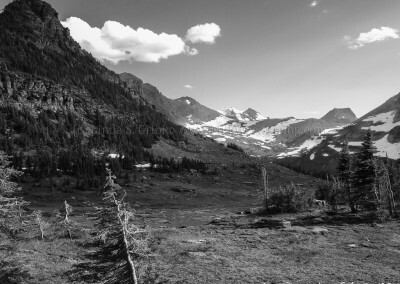 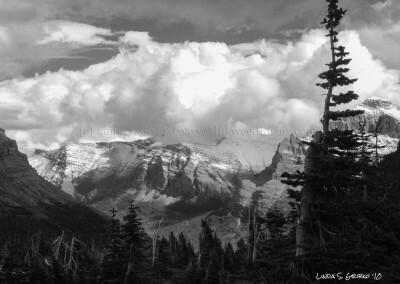 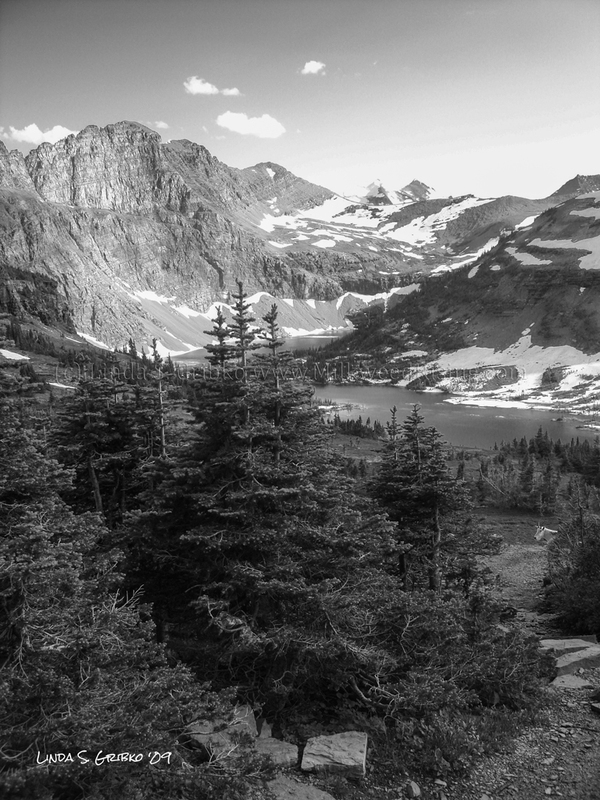 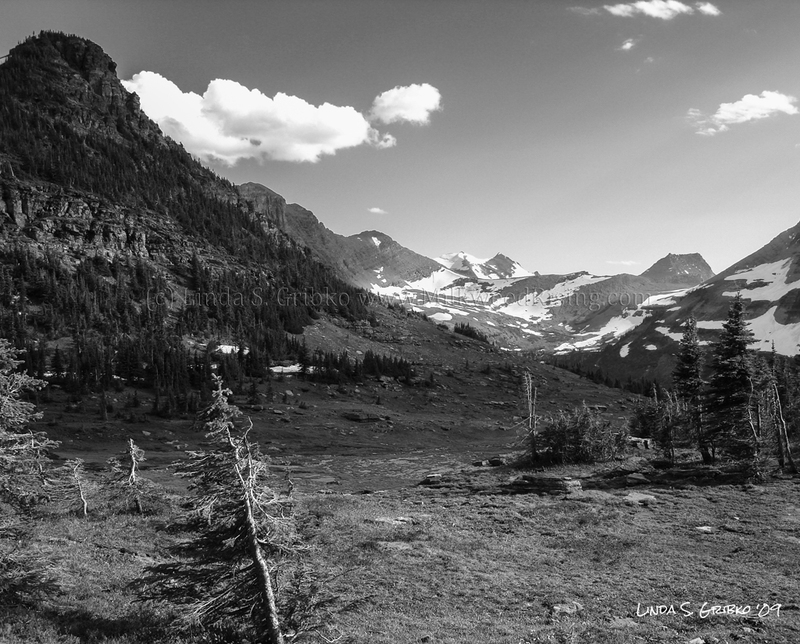 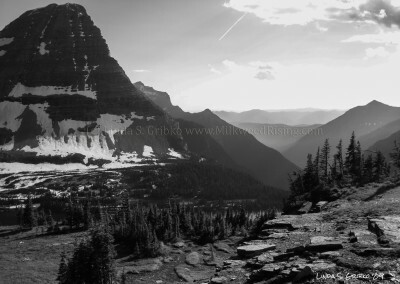 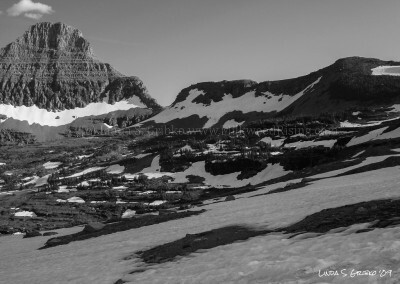 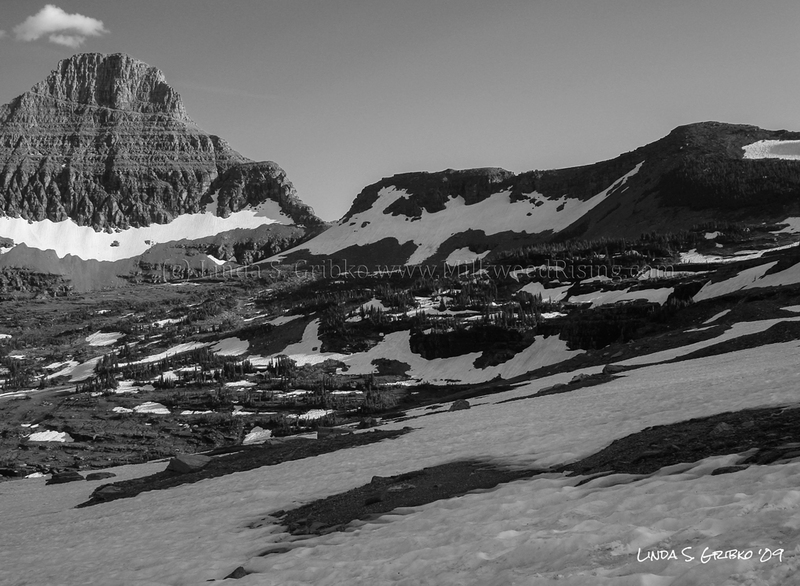 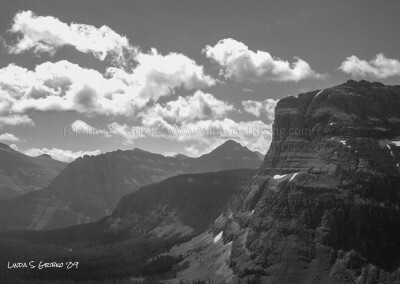 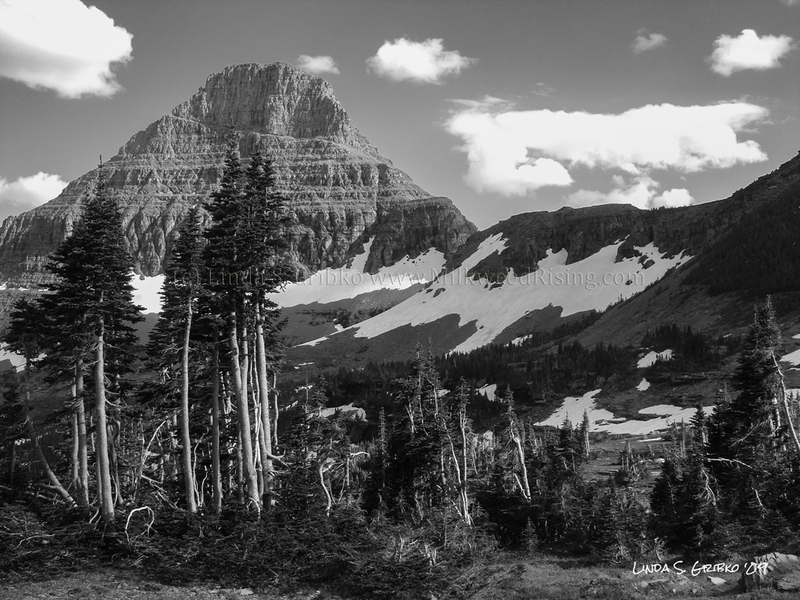 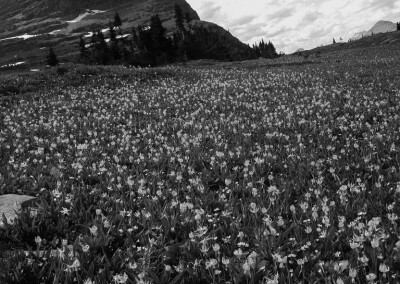 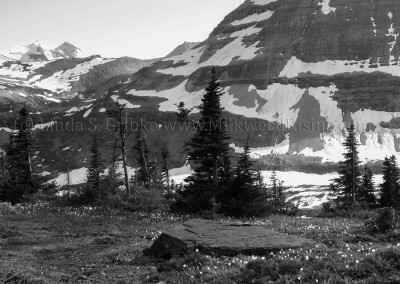 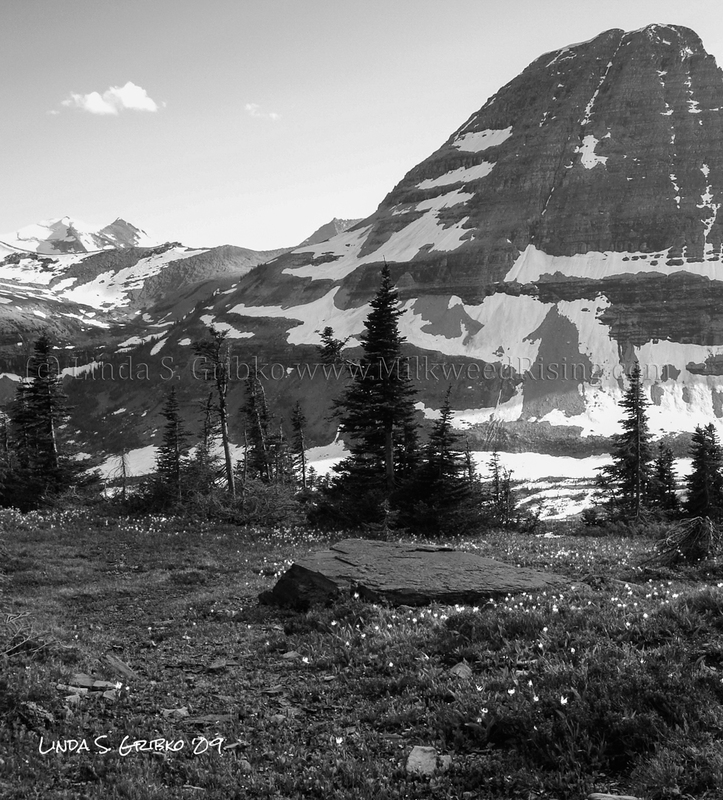 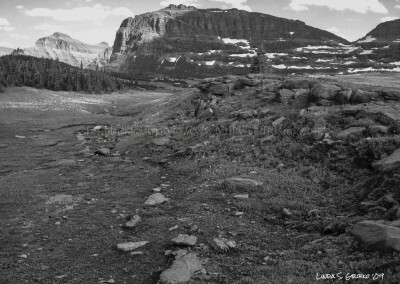 I took this series of photographs while hiking from the Logan Pass Visitor Center, Glacier National Park, Montana, to the Hidden Lake Overlook in mid-July 2009. 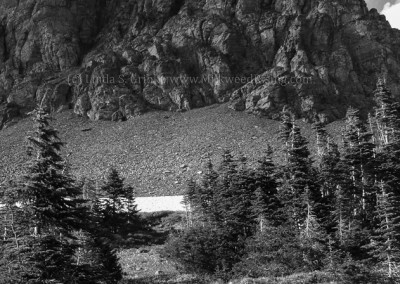 I rediscovered the photos recently and converted them to black and white, choosing images that celebrate the play of light and shadow, the contrast of white snow against dark elements, and the intricacies of the broken alpine landscape. 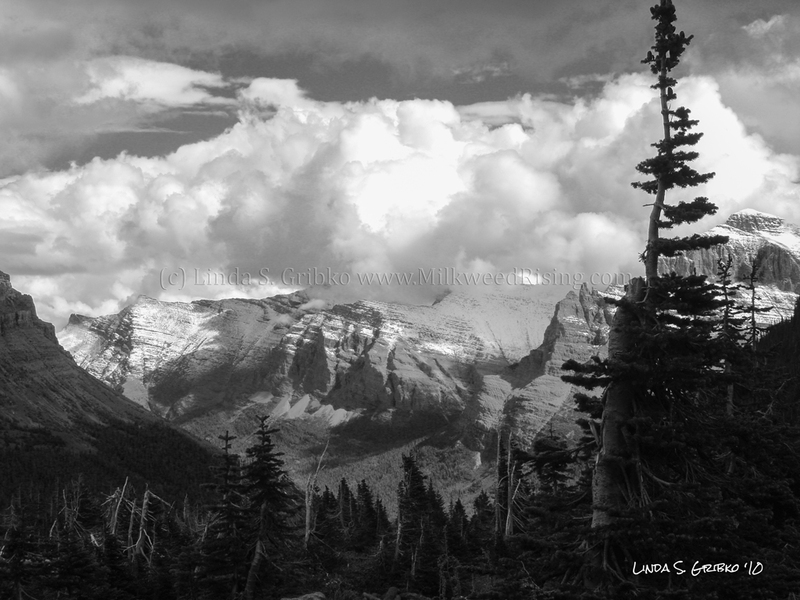 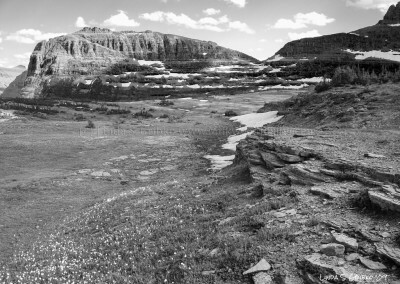 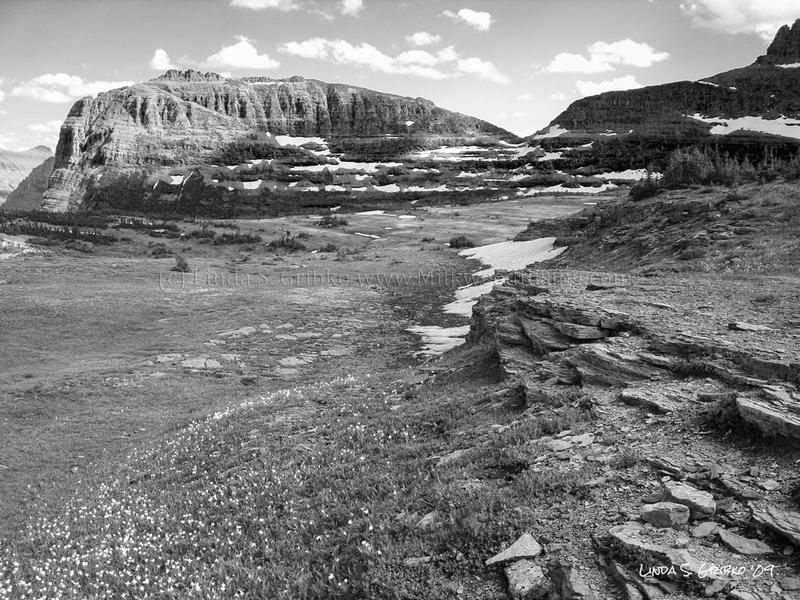 I took “Image 11” the following year—in late August 2010 as a snow storm approached the Logan Pass Visitor Center. 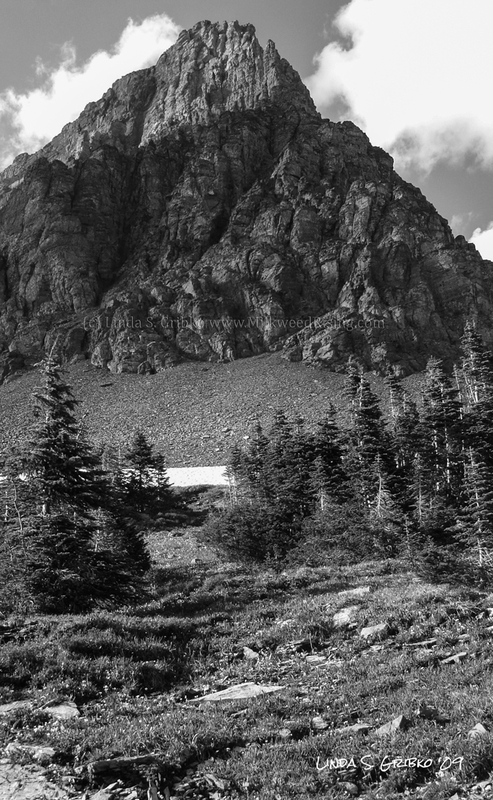 It fit so nicely with this series that I included it in the collection. 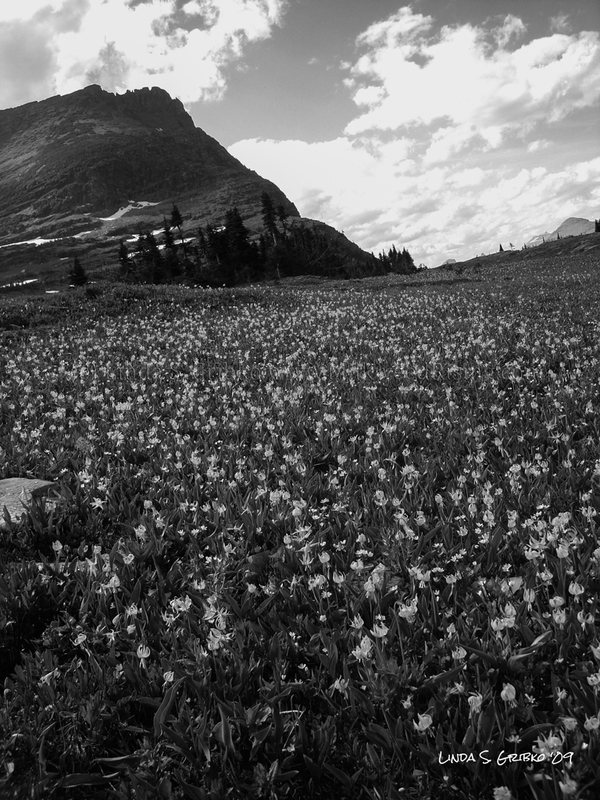 Enjoy the hike and don’t forget to breathe. Please contact me if you are interested in custom prints from this series.